In this post, we'll discuss how to capture scan data using networked Shure wireless devices. Wireless Workbench 6 can connect to many different types of wireless systems, including receivers, in-ear monitor transmitters, and other scan-capable devices. 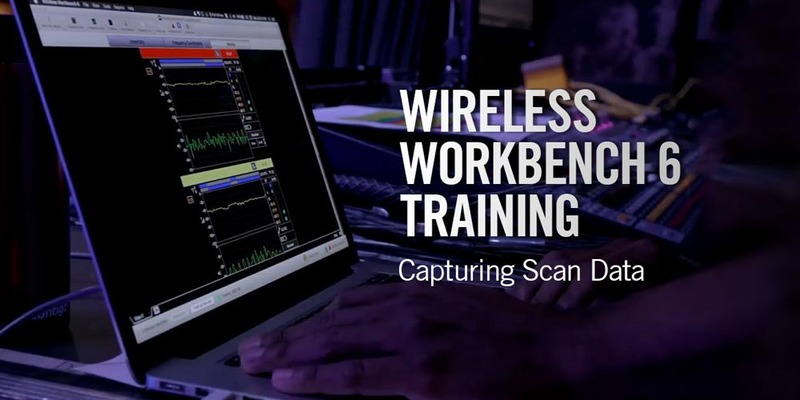 A feature that Wireless Workbench offers is the ability to use those wireless devices as scanners to gather spectrum data to import into Wireless Workbench. If you navigate to the frequency coordination view, you will see a built-in plot viewer in the middle of the screen. This coordination plot is a great way to use scan data for Frequency Coordination purposes, but the same functionality and mechanics of capturing scan data are available within other plotting utilities in Wireless Workbench, like the Frequency Plot. To the left of the plot viewer, there is a sidebar with different bins to add scan. If you look at the category called "Recent Scans" you will see a small gear. When the gear is clicked, it'll open a dialogue that shows all the devices that you have on the network that can be used to scan. These devices will have a checkbox to the left of their name. When you select a device by clicking its checkbox, the dialogue will show their scannable range in the spectrum with a green coverage bar at the top of the dialogue box. Select all the devices you want to use to scan, then press "Start." Once started, Wireless Workbench overtakes that wireless device to use it as a scanner. Because of the override, you should only use channels/devices that are not required for normal operation while it's scanning. The spectrum view will begin to fill with data from the selected wireless gear. These devices tune into all frequencies and report the amplitude in dBm (back to Wireless Workbench), allowing it to plot the data right on the screen. Please note that the best way to capture clean data is to turn off all your transmitters to make sure you're capturing the environment as it is. The scanning performed in the Frequency Coordination tab is typically just one sweep through the operational band of a receiver. But this option can be changed. If you re-open the "Recent Scan" dialogue, you will see a "Sweep" column. This is a selectable option that allows you to switch between "Single" and "Continuous." The default option is "Single" which means that the Wireless Workbench performs a single sweep of the band range, and when the scan is done, the device will stop scanning. The "Continuous" option allows the device to continue to scan until it is manually stopped. The benefit of capturing scan data is that the spectrum can be visualized to see what's going on in the RF frequency domain and then later used for other purposes in Wireless Workbench, such as frequency coordination. This is a pretty simple way to get even more value out of Shure networked wireless devices, as they can act as band-specific spectrum scanners as well. Once a scan is finished, the frequency coordination view displays the scan data. You can save this scan as a file by right-clicking on the Scanning Device's name within the "Recent Scan" box to the left and choosing "Save." These files can be used as an archive for future coordination or sent to others as reference. Sam is a graduate of the University of Miami (Coral Gables, FL) with a BS in Music Engineering. 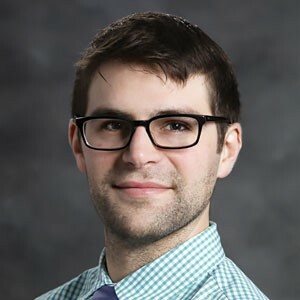 In his free time, Sam can be found playing keys in jazz combos around the city, or cooking with various international ingredients and experimental new kitchen gear at home.